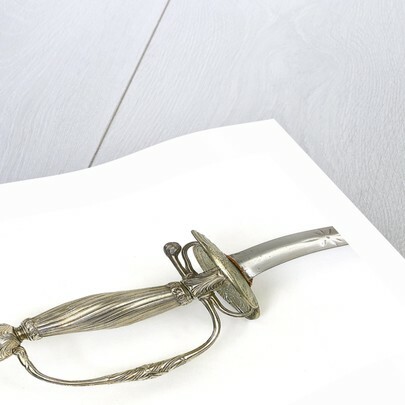 Small-sword, thought to have belonged to Don Juan Francisco de Garganta (active 1739) and Commodore Charles Brown (active 1739). 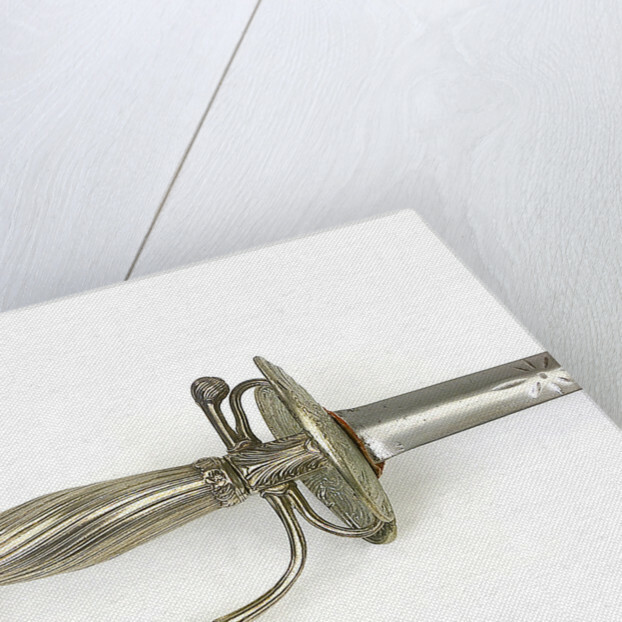 The hilt of the small-sword consists of a silver guard, with a spiral fluted silver grip, a round silver pommel and a rudimentary silver pas d'ane. 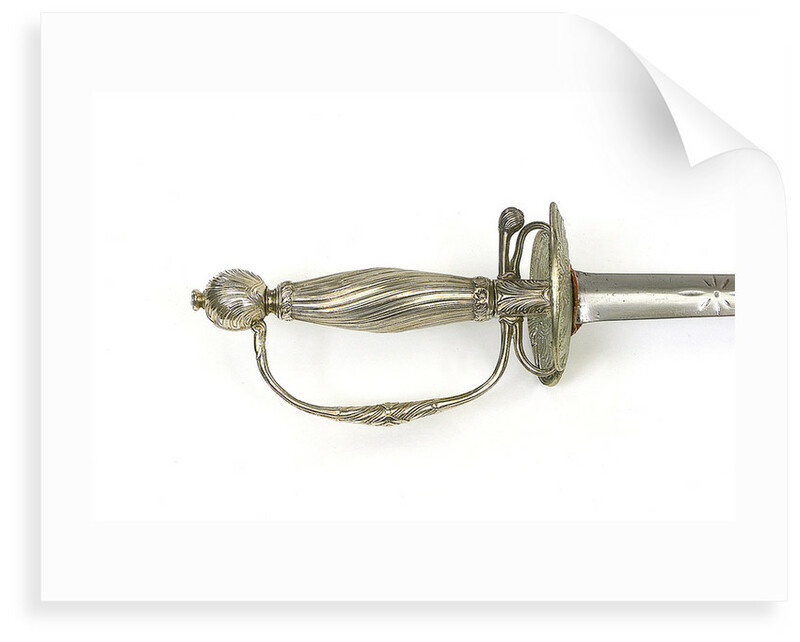 The hilt bears the mark of the Paris assay office for the year 1737-1738 and an unidentified silversmith's mark which may be a 'D'. 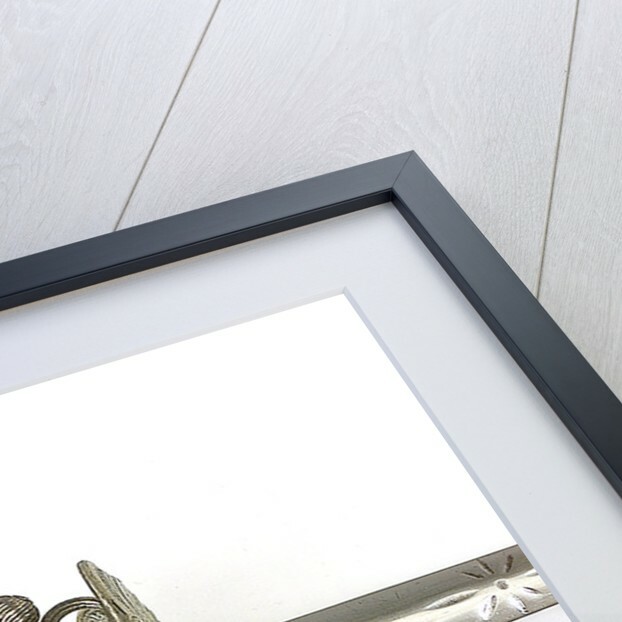 The steel blade is double edged.